Dance your way into your clients' hearts with the Disco ballpoint pen! 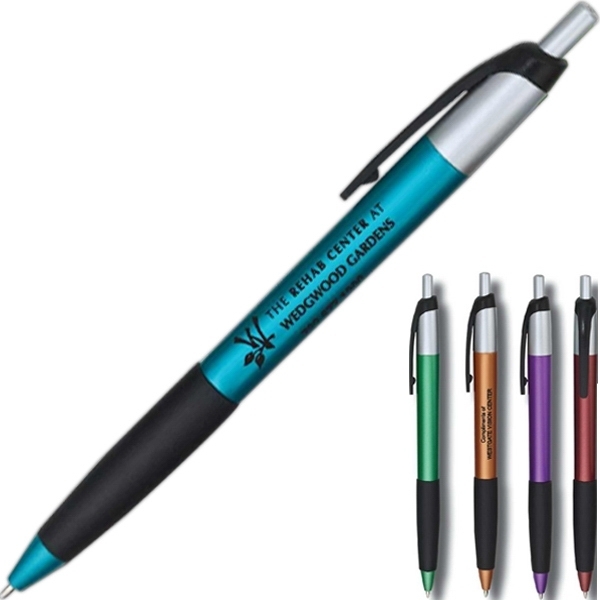 This medium point black ink pen is tri-colored and offers a great way to advertise your message in a classy manner. The colored barrels, black rubber grip and silver accents are a great combination to certainly get noticed. 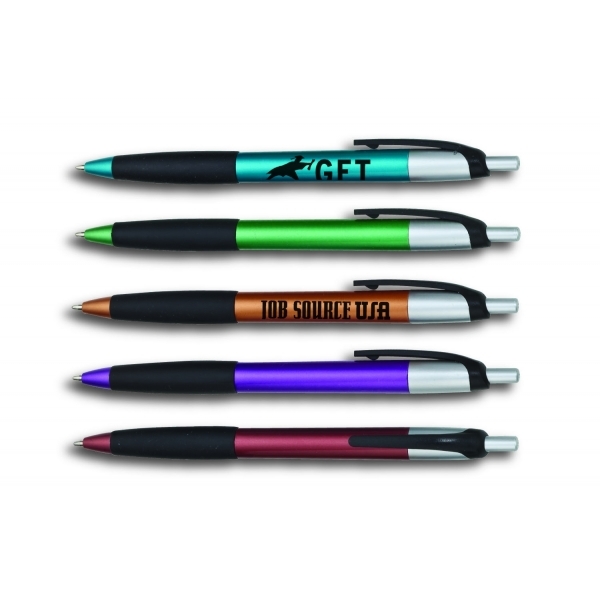 The colored retractable pen features a black clip and grip. 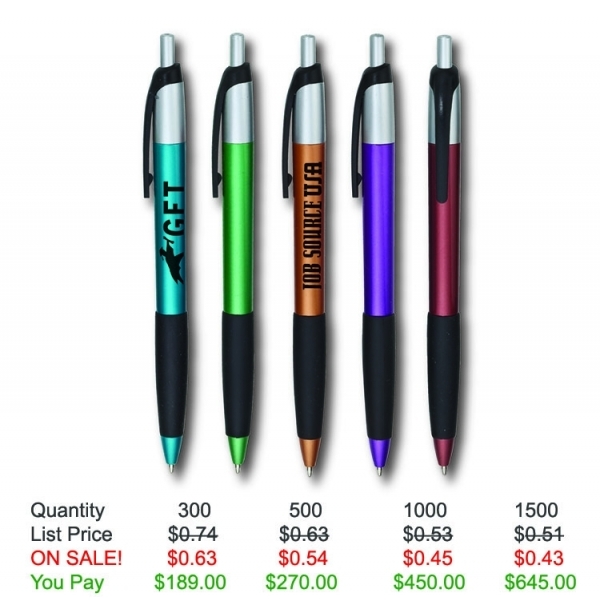 Point a finger in your company's direction with a silkscreened imprint or personalization on this promotional product today! All our pens comes with Free Artwork, Free Setup, and Free Shipping! Item Color: Blue, Green, Purple, Red, Copper.